Hire models, hostesses, greeters and promo models for your Baltimore, Maryland event. Baltimore promo models for your next conference or expo. Every time you appear at a trade show you have a chance to make an impression on people. Your brand name has the chance to stand out from the crowd and impress upon people how exciting your company and it's products are, when you hire an experienced trade show model. Hire Baltimore models for your next trade show and give your company a chance to shine. Hiring promo girls and event models is a great way to let event attendees receive a favorable impression of your brand. As a very experienced staffing agency, we are able to match individual models to your specific and individual needs. We help you to get across a message about your brand that is right for you and conductive to increasing sales. Looking for Baltimore promo modeling jobs? The TSM Modeling Agency is hiring! We want to hear from girls with a background in events and promotion. If you understand this industry, then get in contact with us and find out more about being part of our team. Out staff attends a variety of events from car shows to festivals and drinks promotions or your needs could be as simple as a product demonstrator. We match you with companies on the lookout for your specific experience and skill set. Enhance and pursue the exciting career in the promotions and events industry. We are interested in hearing from you whether you want to work on a full time or part time basis. Get in contact us now to find out more. Hire Baltimore models and guarantee the success of your next event appearance. Our staffing solutions connect you with girls who have experience and talent in the trade show and events industry as well as promotions. Their appearance and confident, friendly manner will attract attendees to your booth. The girls are skilled at conversing with the attendees, filtering out unqualified leads and passing genuine leads on to your sales team. They can demonstrate products, answer attendees questions and assist you in your networking efforts. Talk to a member of our team today and get the right result for your company. Like many American coastal cities, Baltimore has become a service-oriented economy. Baltimore is home to the National Aquarium, the Maryland Science Center, Harborplace shopping center and the Baltimore Orioles. 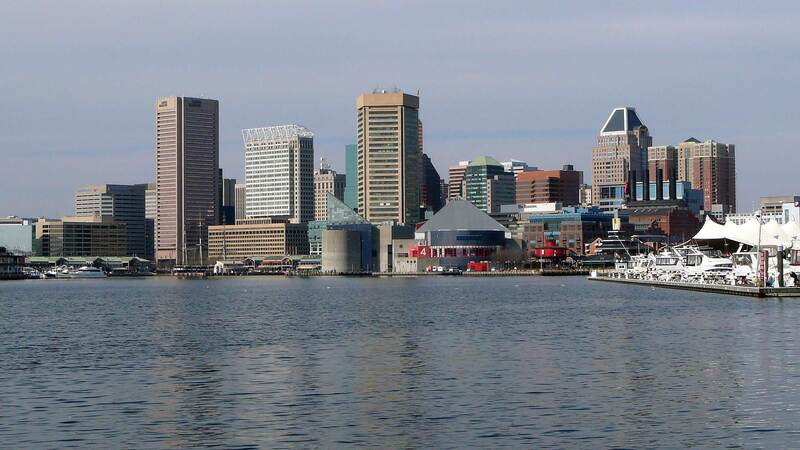 Greater Baltimore is home to several Fortune 1000 companies such as Constellation Energy, Grace Chemicals, Legg Mason, T. Rowe Price, and McCormick & Company. The Johns Hopkins Hospital is also located in Baltimore. The Baltimore Convention Center that opened in 1980 was built as part of a major city redevelopment project in the late 1970’s. Baltimore was once a major harbor center and the area has since been transformed into an area of commerce, business and tourism steeped in American history. The National Aquarium in Baltimore, the Oriole Park at Camden Yards and the M&T Bank Stadium are also all parts of the major redevelopment and transformation of the historic Baltimore harbor. The city of Baltimore itself is divided into nine geographical regions: Northern, Northwestern, Northeastern, Western, Central, Eastern, Southern, South Western and Southeastern. Downtown Baltimore, the citys main commercial area is located in Central Baltimore. Throughout many of these regions are a total of 72 historical districts, traditionally occupied by distinct ethnic groups. 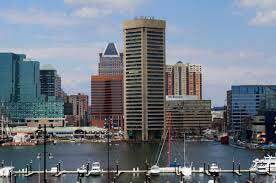 Baltimore is Maryland’s largest city and economic hub and one of the nations best historical locations. Baltimore is known for its neighborhood appeal, so much it is often called “a city of neighborhoods”. Baltimoreans welcome visitors with an often self-described down to earth and small town spirit and hospitality. Aside from some of the nations leaders in biotech and pharmaceutical industry, other attractions to Baltimore include the American Visionary Art Museum, the B&O Railroad Museum and Frederick Douglass – Isaac Myers Maritime Park. Baltimore is a city and culture with deep American historical roots dating back to before the Revolutionary Era and the Nations inception. Local promo girls and trade show girls are available for every Baltimore event. BECOME AN BALTIMORE MODEL - SIGN UP!